If you have come from my friend, Kirsten's, blog you are in the right place. Congratulations!! You have made it to end of the hop! If you are just visiting, you are in for a treat--follow the list at the end of the hop for some fabulous inspiration and prizes from StencilGirl Products. I used the new Spheres stencil from Michelle. 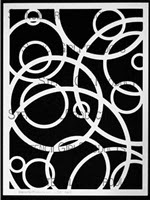 I am a lover of circles--they are my "go to" shape in most of my projects. Needless to say, when I saw all these new stencils I was a tad bit excited! Here is a little process on how my canvas came together. Weird huh??? I actually worked on a canvas and not in my journal for once! 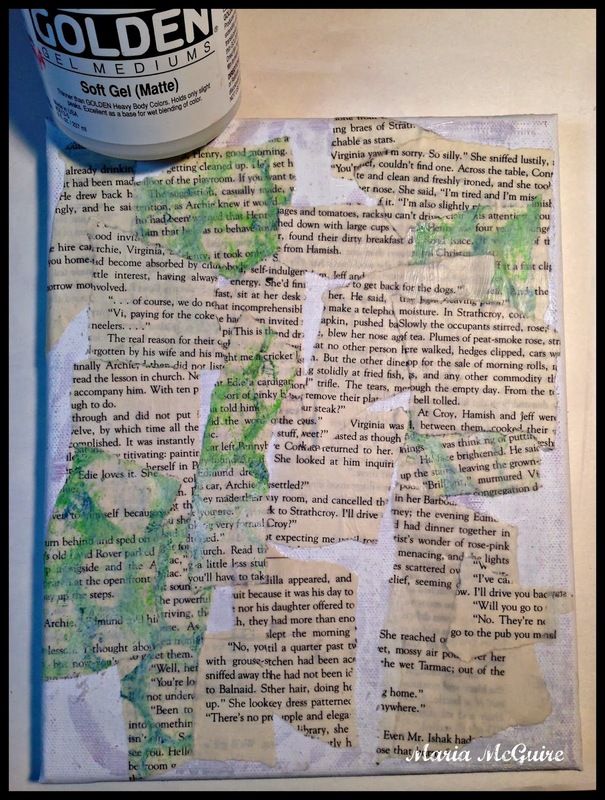 I first used some used book paper to give me some texture on my canvas. I applied it with Golden Gel Medium. Step not pictured: I painted the entire canvas red. Next came the stencil and Embossing Paste by Wendy Vecchi. Some finishing details and I was done! Here is a close-up photo. I would love if you would follow me on Google+, Pinterest and Bloglovin--but not required to enter the GIVEAWAY. Don't forget about the Daily Deal--ONLY GOOD TODAY, January 27, 2014! I am a sucker for circles, too, and I loved your text. It's the perfect page all around. I need to get around to playing with Wendy's paste. You just reminded me! Love your shimmery project! The red and silver are terrific. I love this piece. The use of color and the black dots (beads of liquid pearls?). The red letters really pop and I love that as well. Thanks for showing the steps you took. Very cool! Love your color choice, and seeing your process. Thanks for the inspiration and chance to win! I really like the dimension you achieved on your piece and the words you chose. Bold and confident. Thanks for sharing. Wow, how different and inspiring. Like the idea of using what you have and altering it. Thanks for sharing. Hola Maria, un canvas muy original y bello. Agradecimientos por el paso a paso de tu trabajo, ayuda a conocer el arte por dentro. Felicidades por tu trabajo. Un saludo. Love how you used this stencil. Wow! Thank for the opportunity to win this great stencil. Hi Maria, Love your canvas! Using embossing paste through the Spheres Stencil has created such a strong statement. This is definitely one for my collection. Love the ideas for dimensionality! Where do you come up with all these amazing ideas??!! I love this canvas!!! I love the addition of the black beads (?) -- I have the feeling of gears turning and moving. Beautiful canvas and the whole blog hop was super-inspiring. Wow! Love the rich, lush surface and textures and colors! Gorgeous!! Love this Maria. The embossing paste is gorgeous, I can see why you are obsessed with it. So clever how your black beads nearly transformed this into a steampunk look. Very nice. Great use of the stencil! 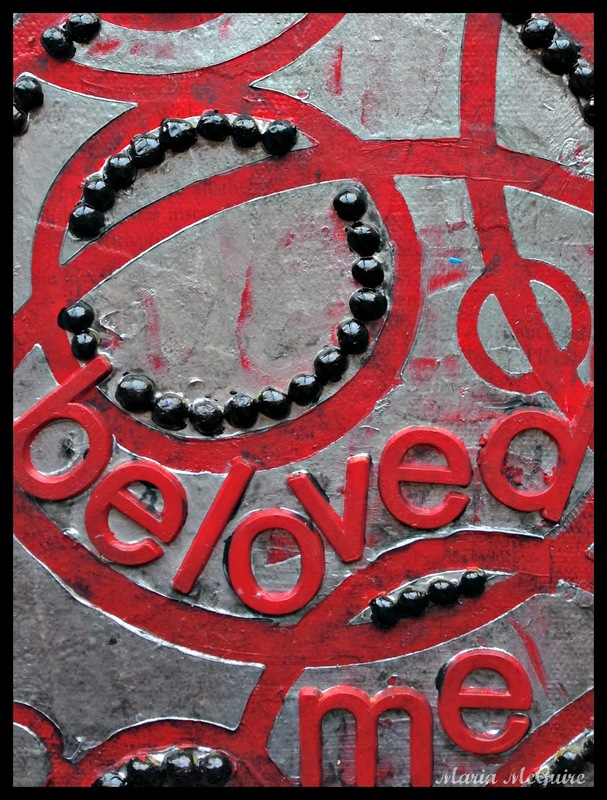 Ooooooooh....stencils and pastes = LOVE. This is just striking and gorgeous. Hopping along with you is always fun. Thanks for another great one. Love the embossing paste with the red. Also like how you added the beads for dimension. Very nice! The metallic with the stencil- what a regal touch with the red and black! I am in NEED of something metallic for some reason...so inspired! What a beautiful, inspiring work of art you created. This is a great piece. It inspires as well as provides beauty. The added black dots really make the whole design pop. thanks for sharing. Last but not least. 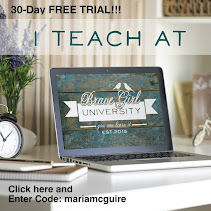 I enjoyed the blog hop and being introduced to you. Thank you so much!! Love the texture on the piece. Fantastic Maria! I love how you used the letters. 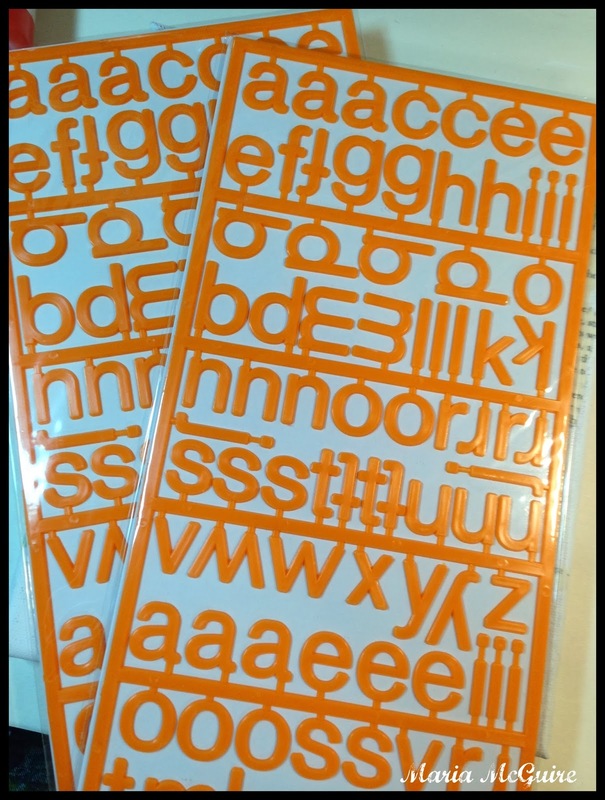 I've got lots of supplies too, including Letraset letters. You've inspired me to get them out and play! Great use of the stencil and using letters too. Now you got me thinking about those kids magnetic letters and I could make something similar painted onto a tin so the magnetic letters would stick and could spell different words each day...thanks for the inspiration! I like the red and black but I do mostly rectangles and triangles. I have never used embossing. I would like to hear more about using a stencil on canvas. My last post wouldn't take one more sentence. Love your work here. The way you have used the stencil is inspired. I love the depth you were able to create with all your different elements. I'll have to check out that paste you mentioned. That's a very cool project! Love all that silver, with the red and black. Love how you incorporated the embossing paste with the stencil. Your project is a whole different look for this stencil. I'm sorry you're the last hopper...I want MORE!! Oh my! I have never heard of that paste. Love how you started with RED, my fave. Super fun project Maria! Great use of the stencil, bold colors and statement! Great texture. Great colour. The black beads (or dimensional paint) give a nice pop. Now I want to try that embossing paste! Great to see how you build your page! Love the beads and the lines they make you dazzle! All of the artists did such incredible work...and such varying medium.... love it! Great texture and color combo. Love the use of the letters, too. Thanks for sharing. Your colors and "beads" of paint really send out a retro steampunk vibe. Very cool! Wow how cool is this. I love the stenciling over another color and adding the words from your stash was an inspiration for me to look around at what I have that I can use in different ways. Thanks. like the industrial chic look of this piece. I love the texture and the red ruby jewel color your chose! The word Beloved is a dearly loved in the dictionary!!! Loved it Immensely! So texturey and yummy! I have to check out the embossing paste, very cool! I love your project with the new stencils. Full of fabulous texture I am completely certain that I need these stencils now. That looks fun! Love it! i'm drawn to circles too~love this! love seeing all the different interpretations of the stencils! very industrial looking, love it and what are the little black things? makes the whole piece pop. Maria, very cool! I too want to know what the black dots are...and I love that you are using up your supplies like that- the letters are an awesome choice! Love the black dots too. This has me excited to try some recyled bbs from son's 4-H bb gun. Very different ( in a good way) look. Such wonderful & different way to use stencils. Enjoyed this BLOG HOP, it was my first. LOVED, Loved & L O V E D IT! Love the way you used Michelle's new stencils. Looks like so much fun. Everyone on the hop used the stencils in different ways to make it so much more interesting. 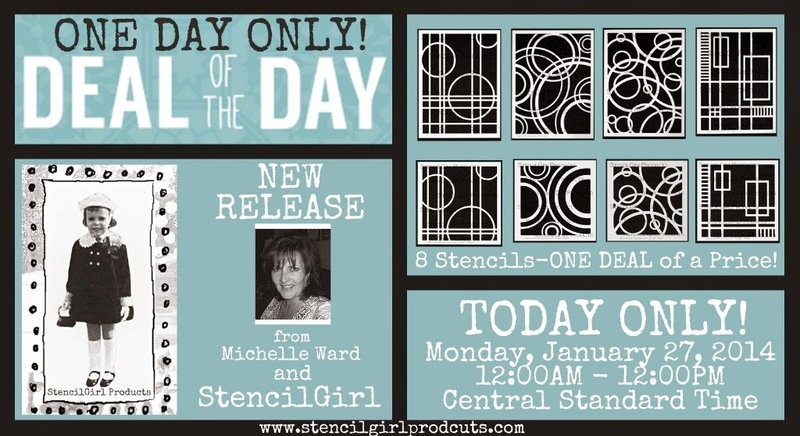 Would love to win a set of Michelle's new stencils. Thanks. Love how you used the stencil and colors.. yum.. I love what you did with this stencil! 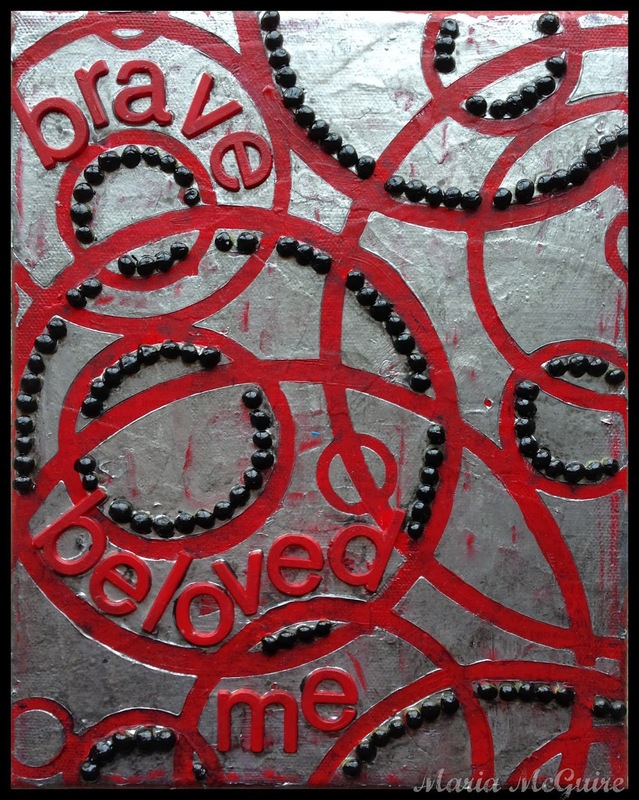 Adding the words and the black dots along with the silver is really dramatic! 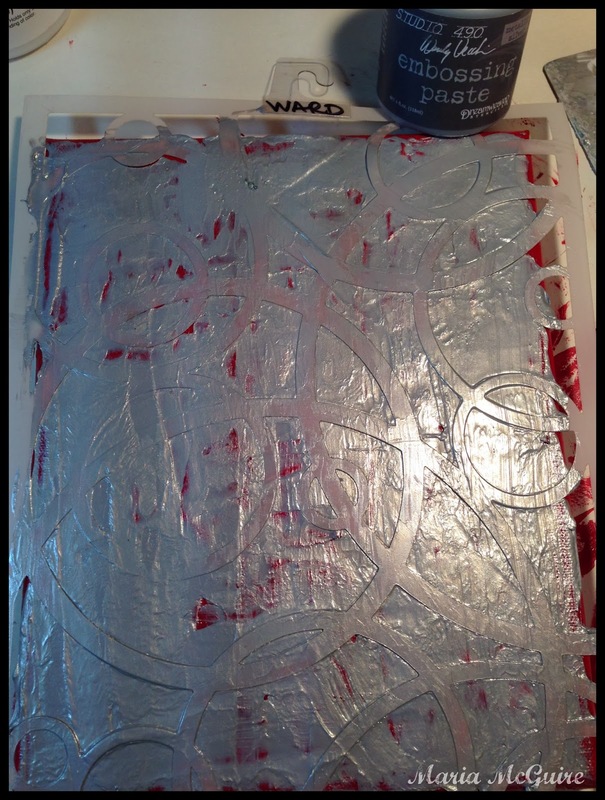 Loved the red peeking through the embossing paste, really great piece! Very cool! Tell us more about your work with Posca pens sometime. Thank you for explicit instructions on how you created such a beautiful piece. 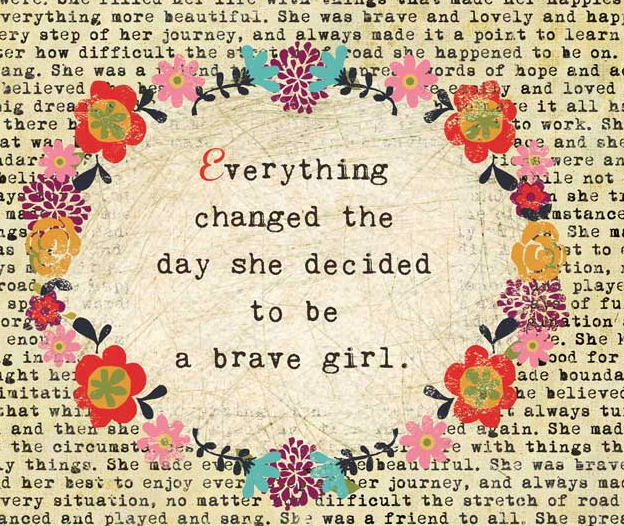 I went back and read most of your blog posts as well - hugely inspiring! Thanks for sharing. Loved what you did with the stencil - thanks for taking us through the process. Maria, love the idea of the book papers and then the new stencils, it looks great! very steampunk looking. I love it. VERY creative and inspires me to use up more of my old stash! Love that red!! very cool! I love your blog banner! Awesome technique and love the finished look! Entirely new look and feel from everything I've seen so far on this hop--you are all amazing. I, too, love the red beneath the embossing paste and the architectural feel to this. Bravo! Wow, this piece is very interesting! The small round objects look like blueberries! Thanks for a great post! Love the texture you achieved ... just beautiful! That was an amazing piece of work. I am always trying to use STUFF if buy then wonder why. I can see how a few stencils can be transformed in many ways. This is so unusual and creative. Very inspiring, thank you! This blog hop has been great. I loved your canvas and the use of the texture medium, it looks very effective. Great projects in this blog hop!! Such talented artists using wonderful stencils!! Great idea. Love the texture. Your description and photos are great! I wanna play! Great choice of colors. Thanks for the chance to win one of these fabulous new stencils.